A member of my Montessori FB group asked recently for ideas of gifts under £10. 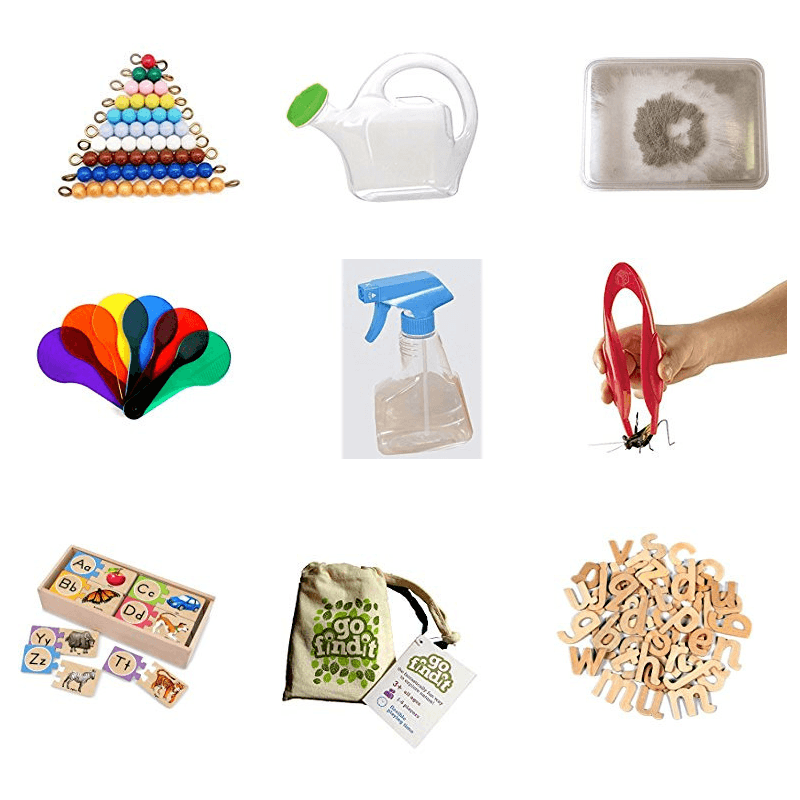 If stocking stuffers or fillers is a tradition in your family, here are some Montessori inspired gifts for under £10. These would be the perfect gifts for birthday goodie bags too. I have chosen these gifts as they allow your child to explore the real world through hands-on and purposeful activities. A crinkle cutter is so useful for toddlers and preschoolers. Allow them to help in the kitchen! Ladybirds’ game was my daughter first board game. She was only 2 years old and we played with it for many years. Another favourite board game here: The Orchard by Haba. A cooperative board game. Stickers are always a great hit. These ones are reusable and it’s about Air, land and water! A set of wooden stamps. Explore colour with this colour paddle. I remember having a water whistle bird! I loved it! I’m buying one for each of my children this year. A French knitting doll. A little confession: I still don’t know how to use it! A big horseshoe magnet! That will keep your little one busy on Christmas day, he will try to find objects that are magnetic all day long! This iron filling pad will go well with the magnet above! Wooden letters instead of a large moveable alphabet. A child-size spray. Let them help you! We have recently received the Go find it as a gift. I take it on our walk with the dog and we have fun finding objects and natural elements according to the cards. Furry is the easy one as we have our dog with us every time! This bracelet is, in fact, a compass and a magnifying glass! Another game from my own childhood and that will be one of my children’s gifts too! I want to pass this game to them as I loved it so much! I hope you will find those gift ideas useful!